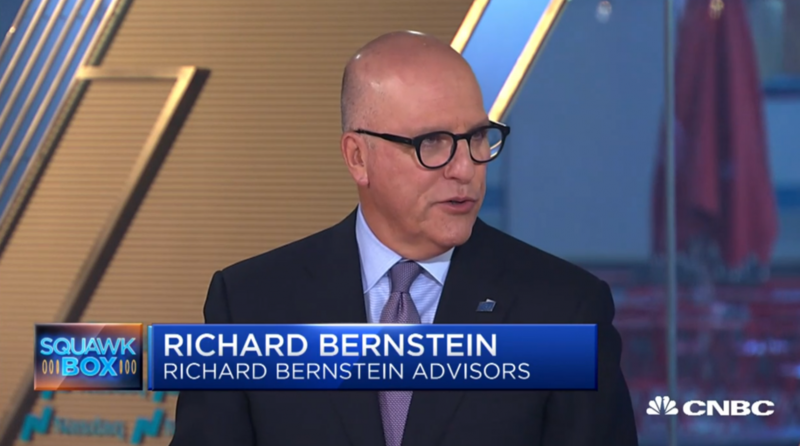 Richard Bernstein, Richard Bernstein Advisors CEO, John Lynch, LPL Financial chief investment strategist, and Jim Kee, South Texas Money Management president, appeared on CNBC’s “Squawk Box” Wednesday to share their outlooks for the U.S. markets and economy in the wake of rising rates and the ongoing trade wars. “Fundamentals in the United States are still good, they’re improving. Profits, number one, are still improving. There is still adequate liquidity…So the things you’d normally see for the beginning of a bear market just aren’t here,” Bernstein said.